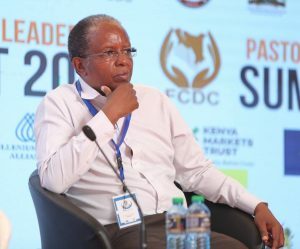 Kamau was speaking at the 2019 Pastrolist Leadership Summit in Garrisa where he raised concern that the livestock sector is sub-optimal capacity, is uncompetitive and Its ability to meet demand compromise. According to Kamau, The finalization of the National livestock policy and enactment of the National livestock bill, Which KMT is spearheading, is also critical in the development of the sector as it will provide guidance to the national and county governments in the development of the livestock industry in line with vision 2030 and the constitution of Kenya 2010. The policy will clearly spell out the roles of each level of Government while providing the necessary linkages. He added that the country could help improve livestock sector performance by synchronizing production of livestock and pasture to meet market demand as well as investing in commercial feedlots. establishing quality animal health input supply chains would also help in transforming the sector. According to Kamau, the introduction of the livestock identification and traceability system (LITS) would help uphold the value of the meat produced for consumption as it improves on the livestock breeding, trade and consumption. It allows for an easy and effective way to monitor animal breeding and productivity, disease surveillance, ownership, the quality of feed and animal health.